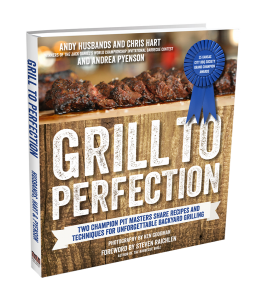 Veteran barbecue champions Andy Husbands and Chris Hart break the mold by offering a wide range of incredible new dishes for the grill—both coal and gas—that promise to wow family and friends with new taste sensations. This book is for the adventurous backyard griller tired of the same old sauces and craving new flavors. Andy and Chris take influences from lesser-known but delicious styles in the US. They introduce key international dishes like sweet Korean barbecue; spicy Sichuan chicken sticks and Caribbean jerk ribs. This is an incredible collection of grilling recipes—perfection hot off the grill.